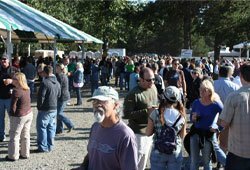 Oysters, wines, microbrews, live music and so much more come together for two days every year on the first weekend in October. 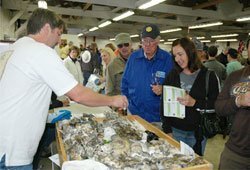 Hosted by the Shelton Skookum Rotary Club Foundation and attended by thousands, OysterFest is home to the West Coast Oyster Shucking Championships and is Washington State’s official seafood festival. Tickets are available online, and also at the entrance during the festival. Festival RV and camping spaces can be also reserved online, for the Wednesday before OysterFest through the Monday after. 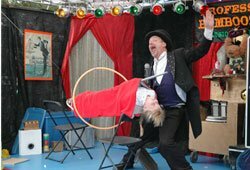 The centerpiece of OysterFest is, of course, the West Coast Oyster Shucking Championships, but you’ll also find live music on four different stages, and one is just for kids! Nearly 100 unique items are on the menu every year (alongside the festival’s Washington Wine Hall and the Microbrew Garden). Kids especially love the hands-on exhibits about our remarkable local tidal areas.